The easiest but professional Mac data recovery software that allows you to recover deleted/lost files from hard drive and removable devices. 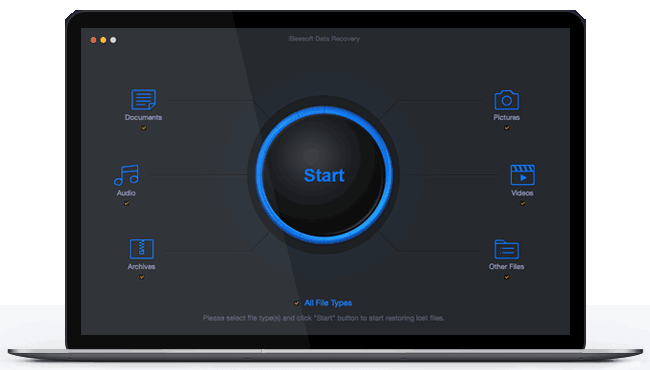 The file recovery Mac tool is applied to almost all data loss situations. Go to Windows Data Recovery. iBeesoft data recovery for Mac is one of the best choices in this Mac data recovery software category if you lost some important files from Mac hard disk or removable device. It can quickly help you to recover lost files on Mac OS X. "Two scanning modes, which can complete Mac recovery very well when the file lost or deleted. iBeesoft Data Recovery for Mac is a good choice when you're data lost. It can get data back on Mac with just a few clicks." No matter in what scenarios, you can depend on iBeesoft Mac data recovery software to completely recover files in Mac notebooks/desktops and other storage devices. The safe and effective data recovery for Mac tool can quickly restore your deleted or lost photos, documents, videos, music and, other files. 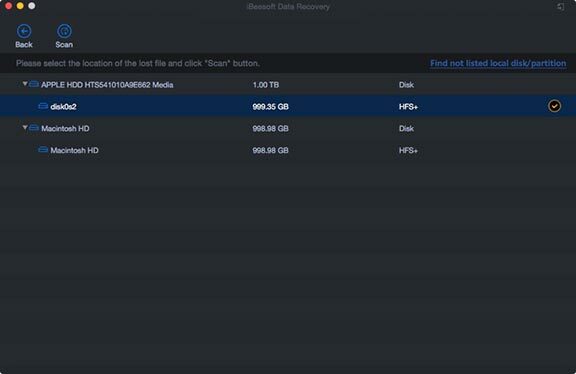 Completely undelete data from the hard drive and other storage devices or recover "command + del" delete files. Easily to recover permanently deleted files or folders from the emptied trash on Mac. Restore data from formatted hard drive/volumes, SD cards, USB drives or other external devices on Mac. Fully compatible recover APFS volume/drive under in the macOS High Sierra and latest macOS. Retrieve lost files on Mac due to volume loss, deleted, hidden, inaccessible, re-partition or damaged etc. Recover Mac files lost by unexpected virus attach, drive displays as RAW, system upgrade/reinstallation, etc. Developed with cutting-edge technology, The Mac data recovery supports more than 100 devices and 500 file types, letting users recover files safely and reliably. You can export the scan results and can also import the scan results saved before to make Mac data recovery continue without scanning your drive again at any time. You can export the scan results also import the scan results saved before to make recovery continue without scanning again at any time by clicking Import Scan Status. With built-in wizard, users will be able to recover deleted or lost files from Mac, external hard drives, memory cards, USB drives, etc. No extra computer knowledge is needed. iBeesoft Data Recovery for Mac is fully compatible with the latest Mac operating system and former ones. Besides allowing you to Mac recover deleted files, unformat drive and APFS data recovery. It enables you to perform Mac data recovery from over 100 external devices and supports more than 500 file types. 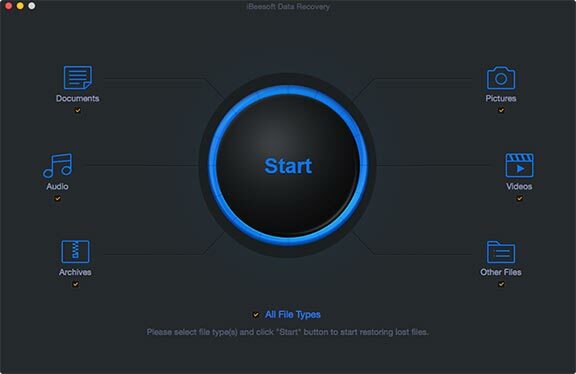 iBeesoft Data Recovery for Mac is a safe and reliable Mac data recovery tool. It only helps users to file recovery from Mac notebook, Mac desktop and all kinds of storages devices, like memory cards and USB drives. It never collects any private information from users. It has helped more than 2 million users to get back their important photos, music, documents, email, worksheets, and more. "It's the best Mac data recovery application without a doubt. This tool has helped me to recover a lot of deleted important files lost by mistake. Recommend to download this Mac recovery application for those lost files by mistake. This will help you a lot." "I just wanted to say thank you, thank you, THANK YOU!! Your Mac data recovery software just saved my job! I'm a photographer at an agency and had a photoshoot with a huge client yesterday. Today, I accidentally formatted my memory card from yesterday's shoot and thought I had lost all the images forever. I probably would have been fired for making such a huge mistake! So thanks a million for your help and saving my life!" "I stupidly deleted a Photoshop file from Mac hard disk by mistake. When it happens，i seriously don't know what to do. My friend let me try this iBeesoft Mac data recovery. After scanning, the Photoshop file really get back. 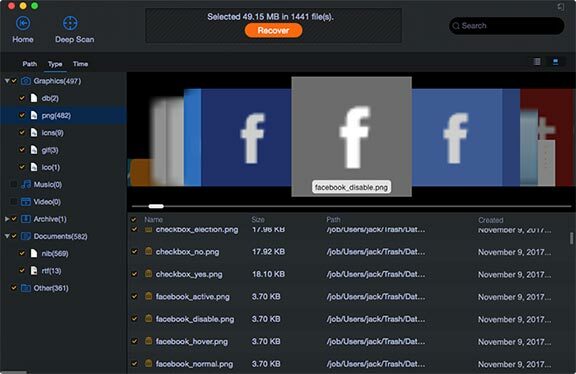 Great app, very easily recover deleted files on Mac." "Just now, I deleted a folder and empty the trash. When I realized I had made a big mistake, my MS documents were gone. Some files are very important to me, they are my jobs. Later, I free trial this Mac data recovery software to scan the lost files. It quickly recover my deleted files. Thanks, iBeesoft, good tool."